We, at xEdu Accelerator, are excited to launch our seventh acceleration program. After receiving 100 applications from 31 countries, we have carefully selected the top 8 startups that will be shaping the future of education. This cohort is going to be the most international so far with the teams from Finland, Sweden, Italy, UK, Hong Kong and UAE. They innovate in the fields of AR, VR, Learning Support, Knowledge Sharing, Math, History, Social Reading, Sustainability, and STEAM. Our long-time main partner Samsung is focusing on the role of Social Impact in technology development and brings the access to the latest mobile and wearable devices for the startups. With the help of the cities of Espoo and Helsinki, xEdu startups can co-create their innovative solutions with the schools. The 3-month journey will culminate in a Demo Day on 4 June 2019 organized in collaboration with FiBAN and Helsinki Startup Day. Betwyll is a webapp combining reading with social networking and enabling life-long learners to read more, better and with lots of fun. On Betwyll, students and readers of all ages read books together following reading calendars and posting comments of a maximum of 140 characters (tweets or twylls). Moreover, they can also chat with the author and the main characters of the book. A chart speaks more than a thousand words. Chartipedia transforms key insights from credible data into simple visualizations. We have a vision to create a global chart community for knowledge sharing. Four Ferries offers automatic checking of math assignments. The checker verifies students' calculations step-by-step, independently of how they chose to solve the problem. It gives students immediate feedback on their own workings and shows teachers where the students are struggling, allowing teachers to focus on these issues and measure improvements. We bring the past to life with AR technology. Our main products are currently content heavy mobile apps that we make for cities and museums. We specialize in lifelong learning and allow our clients to tell their stories and deepen people's understanding of the site's history with modern tools. Musemio is a virtual reality edtech platform where culture meets curriculum. Children aged 8-12 adventure through curriculum-led quests that feature cultural artifacts from around the world. Parents can track their child's learning trajectory through our data feedback system. With the simplicity of mobile app and a cardboard headset, children can learn in the way they enjoy most - through play! We produce educational short animated series focused on STEM, coupled with an interactive app for children between the ages of 4-9. The app is available in Arabic and in English. The app includes gaming components, quizzes, fun facts and coloring pages. Skillgrower uses AI and gamification to enhance motivation and learning results in math. Our mission is to provide all students a feeling of personal success in math while being everything that is needed in the classroom. Skillgrower can save up to 200 hours of teachers time every year. Snowflake Education has developed a framework for integrating sustainable development in courses and education programmes. The framework is based on the educational principles for active learning, flipped classroom and gamification. An integral part of our offering includes a range of educational board games. With 2019 around the corner, we want to look back at our journey this year, at the impact that we have managed to create together with our community of startups, mentors and partners. In these infographics, we will highlight some of our milestones after three years of accelerating the edtech ecosystem in Finland and Nordics as well as the first feedback on xEdu-UNTIL Learning Accelerator. Before we dive into the numbers and memories of this year, let us give you a sneak peek to what awaits us in 2019. • Save the date: 3rd October 2019 — World's largest edtech hackathon by Aalto University, xEdu & Climate-KIC. Let's solve global challenges in digital education together. More details will follow in 2019. • Application for our Spring 19 Program will open on the 7th of January! This time, with a guaranteed match with our investor partners which would mean an investment for up to 50.000 EUR for additional equity. The funding will be based on the milestones startups reach during the program. We will also introduce a startup scorecard for investors. • We are taking our partnership with GEMS Education to the next level. At XcitED 2018, we signed a MoU with GemsX to collaborate on edtech startup solutions which means more pilots for xEdu Alumni in the best private schools in the world in 2019. • Save the date: 27th November 2019 — XcitED 19. All the data and graphics used in this article are extracted from the 27-page xEdu Impact Report that we have shared with our partners and stakeholders. Feel free to contact info@xedu.co to join our mission and become a partner. Social impact is quite a challenging thing to measure, especially when it comes to such a dynamic organisation like startup accelerator. When you read this, please keep in mind that all the startups presented here are in operation. It means that the data and information evolve constantly. "The Finnish EdTech scene has been on the move in the last couple of years. Previously there was no edtech or innovation ecosystem in place, even though some advanced technical solutions have been developed. In 2015 a few enthusiastic social innovators and business-oriented individuals introduced xEdu." — From the report on development cooperation in the education sector by the Ministry for Foreign Affairs of Finland, 2018. From the very start of xEdu's operation, our big mission was to establish the missing EdTech ecosystem in Finland. Three years later, we may boldly say, we are on the right track. Every year, xEdu receives about 200 applications from all over the world from which, nearly 10% of the startups get accepted to the program. So far, xEdu has accelerated 56 education startups from 11 countries. What is significant, only 3 of the accelerated startups are currently in hibernation, while the rest are actively in operation. You can find more numbers below. 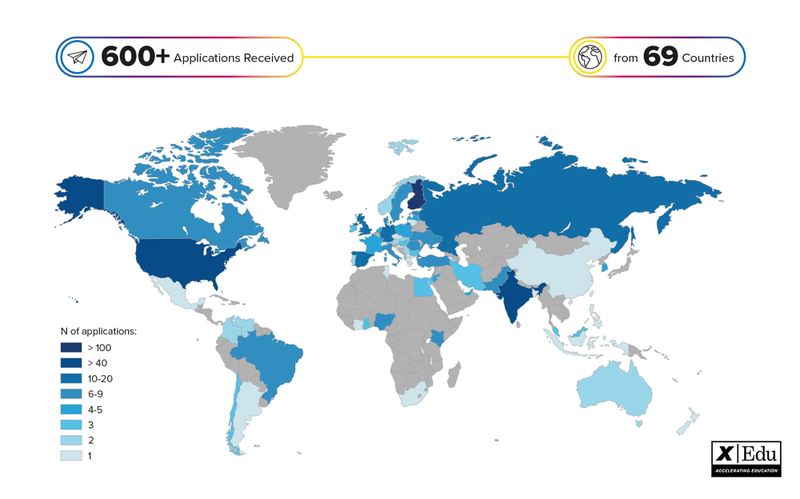 The Geography of Applications for xEdu Program throughout 3 years of activity. This year was full of events, great people, success stories and challenges. Our family of xEdu graduates got bigger with 17 new companies from 7 countries. We are extremely proud to support women in tech movement with more than a half of these companies having female Founders or CEOs. 46% of all xEdu Alumni companies have women as founders or executives. And these are not just numbers — this is the power and beauty of our community — in diversity, in equality and understanding. You can see the shift in the program design of two most recent batches. We design every acceleration program from scratch taking into account a massive amount of feedback we collect from the startup teams and the coaches, plus tailoring the mentoring sessions to the needs of a newly accepted cohort. One of the biggest milestones of 2018 was our first-ever acceleration journey in partnership with UN Technology Innovation Lab. We asked Arjita Alka Sethi, Co-founder of Equally, one of the four companies accepted to UNTIL-XEDU Learning Accelerator to share her thoughts about this experience. “Social Impact has always been in the core of our mission as a company. 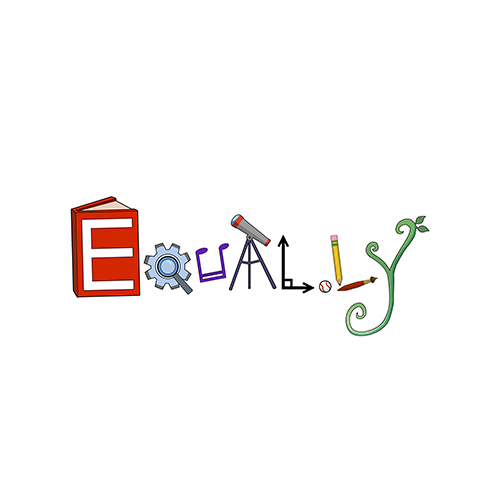 The whole idea of Equally, as you can hear from the name, is to give equal access to education for everyone. Last year, we became semi-finalists of the Global Learning XPRIZE, sponsored by Elon Musk, Google and UNESCO, and that is how we basically started development of our first product. This year, we finally launched it and got accepted to the first program of xEdu-UNTIL Learning Accelerator. It was perfect timing for us and now, with the access to the developing markets, we can build something really impactful and hopefully also profitable,” said Arjita. If you have a similar mission, if you want to make quality education more accessible for everyone, apply for xEdu Acceleration Program in January 2019. The grand finale of the year was XcitED 2018. This year, the main edtech event of Slush gathered the top innovations, investors and the key players of one industry at the Old Student House in Helsinki. More than 20 top-class speakers from 10 countries unfolded some of the hot topics in education. 50 edtech companies showcased their latest innovations in the demo area. xEdu Fall Cohort demo hour, The Night School Dinner and of course the Afterparty. It was quite an exciting day! We are proud that in the 15-hour XcitED program there was a special place for Social Impact and Impact Investment in Education. Elin Wallberg from Samsung Nordics opened the Impact hour by sharing Samsung's CSR approach to making positive changes in education. UN Assistant Director-General Fabrizio Hochschild delivered a strong speech encouraging entrepreneurs to tackle global challenges in education to make it more accessible and equal for all. He also pointed out the critical lack of investment in education that the world is facing. The panel of top edtech investors featuring Inka Mero, Luben Pampoulov, Luben Pampoulov and Koji Takahashi also tackled this issue as well as shared their vision on edtech market trends and opportunities. The main edtech event of Slush is coming back this year. On December 4th, hundreds of innovators, entrepreneurs, educators, investors and policy-makers will meet at XcitED 2018. Before we introduce you the 50 edtech companies that will showcase their innovations in the demo area, let us give you a sneak peek to the 15-hour program we've prepared for you. More than 20 top-class speakers from 10 countries will review some of the hot issues in the education business, technology, investment and social impact. xEdu Fall Cohort demo hour. Because we all like some good competitive spirit, don't we? The Night School Dinner — your chance to share the table and start a more meaningful connection with the speakers, investors and influencers. (You'd need a separate ticket for it though). The Afterparty will take everyone into the more informal setting. We dare you to make at least 5 new friends there! Find all the announced speakers and the full agenda on XcitED website. We, at xEdu Accelerator, are excited to launch our sixth acceleration program today. After receiving more than 146 applications from 49 countries, we have carefully selected the top 9 startups that will be shaping the future of education. The top-notch teams that innovate in experiential, collaborative, language and life-long learning, talent-development, AI, Robotics, VR and AR will start their 3-month learning journey with the best coaches in their fields. The program is built around the strong ecosystem that we have created with our partners. Our long-time main partner Samsung is focusing on the role of Social Impact in technology development and brings the access to the latest mobile and wearable devices for the startups. This Fall, we take our Social Impact mission to a new level by partnering up with UN Technology Innovation Labs and launching a joint program. A part of the new cohort will be involved in the first-ever xEdu-UNTIL Learning Accelerator. These teams will be attending additional tailor-made modules focusing on the specific issues of the developing countries and will continue with chosen UNTIL country pilot deployments in the Spring of 2019. Viking Theories teaches better leadership skills through gamification. Its online game combines theory with practice and simulates real-life leadership situations. iSmart is an inclusive education app especially designed for students with learning difficulties (dyslexia, ADHD and others). It aims to give back confidence to students struggling to read, write and study. Reactored aims to create a digital language-learning platform which would work as a knowledge streaming service. It offers learning content for all kinds of language learners. That implies a customizable learning experience which would meet the requirements of the national curriculum. With OVO Bots, kids can learn maths through conversation. The smart bot helps teachers find out potential areas of concern at early stages. Backed by BAFTA, BFI, HTC and three of the film studios, Virtual Film School teaches 2D film in Virtual reality for the next generation of media creators, globally. Ideasgym provides teachers & students with a Tri-Blended combination of: e-Learning platform (web and mobile-based courses), online shop for affordable educational kits and in-person workshops in Ideasgym Labs inside Universities, Technology parks, Science Centers and Schools. Kide Science helps kids get excited about the natural sciences through play-based learning. Children get to explore the wonders of the world around them by exploring, experimenting and observing. Join us on a thrilling science adventure that has long-lasting effects. Equally is building the future of learning for kids of all ages using immersive technology and artificial intelligence. Its first product Da Vinci Club is a social network for kids in AR, where kids unlock knowledge from the world around them and share with their friends. ROYBI is an AI-powered companion robot for kids aged 3-7 in early childhood education and language development. Over the next few years, the team plans to increase the number of languages ROYBI can teach and to expand content to STEAM learning activities. United Nations Technology Innovation Labs (UNTIL) and xEdu, one of the world’s leading EdTech startup accelerators, announced that they will team up to accelerate the development and implementation of new learning solutions around the world. Under the initiative, titled “UNTIL-XEDU Learning Accelerator”, the selected startups that are developing and providing learning solutions for the needs of the emerging economies are able to join the xEdu acceleration program of Fall ’18. The program will include additional tailormade modules focusing on the specific issues of the developing countries and will continue with chosen UNTIL country pilot deployments in the Spring of 2019. “During the last two years xEdu has been focusing on helping startups to scale-up their education and learning innovations in a sustainable way. This would not have been possible without the help of the Finnish education system, cities of Helsinki and Espoo, nor our main business partners Samsung and Telia. We believe that the collaboration with UNTIL is a great way to empower the startups, and to speed up the global deployment of the best learning innovations. This can create sustainable impact in education,” noted Antti Korhonen, CEO of xEdu. Overall, it is estimated that in the upcoming years millions of learners will benefit from faster access to new scalable learning solutions provided by the education startups accelerated through the collaboration in the upcoming acceleration programs. The initiative, which will be coordinated out of UNTIL Labs in Espoo, Finland, is kicked off with a true startup clock speed. The currently open application period for the upcoming xEdu acceleration program will be extended for an additional two weeks, ie. the application period for the UNTIL-XEDU Learning Accelerator will be open until the 22nd of August 2018, and the program starts already in mid-September after the selection process is over. Concrete results of the first joint acceleration program will be featured in Helsinki at the world-leading startup conference Slush in December of 2018. Articles and studies on accelerators argue the peer support as a key feature of accelerators and a powerful mechanism in supporting young ventures. What is peer support? Why does it matter? How does it work? Based on our experiences as a program manager of xEdu edtech accelerator and as a researcher focusing on young and new ventures, we try to illuminate the power of peer support with this post. The startups benefit from the peer support in the accelerator at two levels: 1) through other startups joining the same cohort and 2) through the alumni community i.e. the startups, which have been in the previous batches. The accelerator is a hub bringing together all the startups and both planned and unplanned encounters may lead to unexpected ways of collaboration. A strong peer community provides a basis for the potential collaboration activities both locally and internationally. The background of the entrepreneurs is versatile and the startups learn from each other through sharing. Since xEdu facilitates already an international community of startups by having alumni from 8 countries, the peer support means expanding international networks as well. The life of startup entrepreneurs is full of uncertainty. One needs to believe in the idea, the vision and the team. Other startups are important role models, who help in that crucial confidence building. Success stories and role models are powerful. Sharing experiences and asking for advice are the usual forms of everyday peer support. The startups may also support each other e.g. recommending new team members when somebody is hiring or introducing leads. A typical example of collaboration is to share a booth in an exhibition. Or a form of collaboration may be inviting other startups to piloting events, sub-contracting, offering physical premises… you name it, only the sky is limit. Within the cohort, the peer support happens through an intensive program of training modules whereas in the alumni community the peer support is mainly facilitated through the events and increasingly through the social media channels. xEdu has also put more effort into systemizing the alumni activities. When speaking about peer support, it is good to remember the unplanned and unstructured encounters. They take place especially among in-house startups but among others as well. To sum up, the accelerator is a facilitator. It enables the startups to take giant leaps. It seems, the more active and open-minded attitude, the higher probability to truly benefit from the peer community. The role of xEdu accelerator as an enabler for the peer support is central. It starts by a considered selection of startups, the role of the accelerator is a match-maker. Furthermore, xEdu aims to foster team spirit among the companies in the same batch. Thus, there are regular social events targeted towards the team building activities at the beginning of each batch. Moreover, xEdu organizes social events for the entire alumni community. The activity of the startups also plays a big role. The startups in the cohort are encouraged to interact and share outside of the planned activities. Real friendships develop between the peers. The atmosphere of openness and support is showing at pitching events and fairs. Uploaded by xEdu Program on 2018-06-11. If you're considering to apply for acceleration or incubation program for your startup you may want to check this guide on how to choose a suitable program. Also, read how to make the most out of the acceleration program and apply for xEdu Acceleration Program! The application will be open until 8 August. Anette Kairikko is a senior lecturer at the Haaga-Helia University of Applied Sciences and PhD Candidate at the Westminster Business School. She is currently doing research on startups in the accelerator context. Anna Dementyeva is the Program Manager of xEdu. xEdu Spring program is officially over: the startups have received their certificates and the application round for the next program is open. A perfect time for a throwback to the Helsinki Startup Day where our Spring batch was rocking the stage. LessonApp is a mini Teacher Academy in a Pocket. It helps teachers worldwide to design lessons the Finnish way — pedagogically wise and simple. M2 Talent has developed a transformative digital tool for matching individuals’ job seeker potential to requirements of the job market. The product can be used as a value-adding career planning tool in the education segment, starting from senior high to university level. Rolling Stories is a tool that allows users to create, combine, and present content, which follows the flow of storytelling. Superlect is a marketplace for professional education. It encourages anyone with experience and passion to become a teacher. World of Insights makes serious games and tools for accelerating workplace learning. These business games blend deceptively simple card and board game features with powerful questions to cover various aspects of business, ranging from innovation and personal development to leadership. Gro Play creates good game experiences to entertain and inspire children and their families to learn more about health, wellbeing and sustainable living. Utelias develops AI powered solutions for learning. Their mission is to make people communicate better with the help of social robots and artificial intelligence. Seppo makes project-based, experiential learning a part of everyday schoolwork. An innovative online solution for teachers to create educational games. An easy-to-use tool for educators to move learning outside of a classroom. Accelerator vs Incubator: what suits your startup? As an entrepreneur learning the ropes of managing a startup, you may often come across terms like accelerator and incubator, which both refer to startup programs. Those new to the game would often use these two words interchangeably. But while these programs both offer guidance to startups, they are inherently different when it comes to their approach. If you're deciding which of these two is the better option for your startup, consider these 4 aspects. Both accelerators and incubators are designed to give startups a needed boost but each program has a different focus. The main difference pointed out by The Startup is in the stage the new business is currently in at the time of engagement. For instance, incubators usually support the ideation process of startups. They take in new businesses that have an idea that they would like to bring into the marketplace but have yet to develop business models or directions towards making the idea into a reality. Meanwhile, accelerators work with startups that are already in the early stages of implementing their idea and the business model. The main mission of the acceleration program is to help startups get through "the Valley of Death" — that period between the first funding that company receives and the steady revenue phase. How is it happening? — By helping businesses grow and scale their product or service internationally through mentorship, training, networking and sometimes also investing in a startup. Accelerators and incubators offer similar environments that encourage collaboration and mentorship. Incubators typically function as co-working spaces, where they give startups access to their network of resources, mentors, and other helpful events. But accelerators tend to offer a bigger network of mentors, given that their programs are structured. Hence, they are the preferred grounds for networking. Startups can already do networking even before the program begins. Menlo Coaching explains that applicants should already establish relationships early on, because it may enrich one’s understanding of what to expect from a program. It would also give ideas on what startups can do to perform better during this time, which can translate to a better understanding of business and, as a result, better choices, down the line. How quickly do you want to get your show on the road? Because that will also come into play when choosing a startup program. Incubators are not pressured by how fast a startup grows, which is why they operate on an open-ended timeline. Businesses in incubators would typically last up to more than a year and a half. On the other hand, accelerator programs work within a specified timeframe of a couple of months. During this time, accelerators use all their resources to help startups to grow quickly. In the end, these startups usually are given the opportunity to pitch their solutions to investors. In fact, Singularity Hub discovered that accelerated startups have higher chances of securing investment funding. When choosing a program, you should also check the alumni benefits that incubators and accelerators offer. Startups would need to go through an application process to be accepted in incubator programs. But since incubators are not pressured into delivering startups that can develop fast, it’s almost easy for any kind of new business to get in. However, the case is very different for accelerators. Startups also need to apply to be accepted, but since it is a highly competitive process, only a small percentage of applicants actually get in an accelerator program. Accelerators typically choose the startups with the best potential. It could mean they are scalable, investable, or can grow rapidly in a few months. We hope that these instructions will help you better navigate in different startup ecosystems and decide which program suits your vision and your company. If you choose the acceleration way, make sure to check our Program Manager's blog on How to make the most out of the acceleration program. Applying for xEdu Fall '18 program (you can do it until 8 August). xEdu Srping '16 program graduate, The Mighty United is advancing in the international education markets. The team behind the Mightifier®, an application focusing on social emotional learning, is proud to welcome new investors and advisors – experienced business leaders Jacob and Hans Dalborg, from Stockholm and serial entrepreneur, key-note speaker and investor Jeany Stein from Silicon Valley. “Mightifier is a company with great people and a service that is highly needed in the schools and organizations. We are very proud to be part of them as an investor”, says Jacob Dalborg. “Mightifier has a great potential in schools. We’ve already seen the positive impact Mightifier has on reducing bullying and boosting inclusive classroom spirit. I’m very happy to be part of them as an investor and advisor”, continues Jeany Stein. After graduating from xEdu acceleration program in 2016, the Mightifier team has proven to be one of the breeding winners by scaling into Asia and winning a number of prestigious awards. The EdTech side of the Helsinki Startup Day: Register Now! The highlight of this Spring acceleration program is coming next week already — Helsinki Startup Day — and we are excited to co-organize together with our friends from NewCo Helsinki and FiBAN. 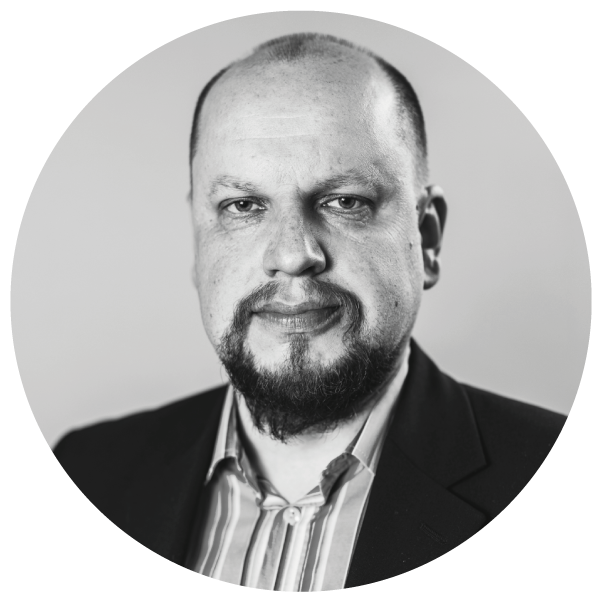 The EdTech track of the event will feature xEdu Spring '18 final pitches and 'Investing in Education' workshop by xEdu's CEO Antti Korhonen. Don't forget also about the afterparty to take the networking to another level! 2. Right after the Spring '18 startups will finish their pitches, we will open the application for the Fall acceleration program. So stay tuned! You can check the full program of event and register here. These education-focused startups have gone through an intense 3-months acceleration program and they are ready to pitch their innovations to you! Explore the latest top-notch solutions in the areas of experience-based learning, teacher training, creative development, talent management and life-long learning. Explore the world through a new lens with BeED's unique Learning Experiences. xEdu Fall '16 program graduate Pikkuli has sold its animation series to the world's largest Arabic-language television channel Al Jazeera. Al Jazeera reaches over 310 million households in more than 100 countries. The characters of the Pikkuli series — created for 3-8-year-old kids —are chirping in bird language, but emotions, dreams and fears are presented through pictures in bubbles. Pikkuli effectively addresses many learning themes, such as social skills, self-expression and the processing of feelings. As it was reported in Helsingin Sanomat, Pikkuli character has already attracted attention in the Middle East. Iranian gaming publisher Myket acquired Pikkuli mobile games to be released in 2017. Pikkuli's teaching demos and mobile games have already been tested in Egypt and Qatar. Pikkuli is shown in Finland in children’s TV shows Pikku Kakkonen and Buu klubben. The contract between Al Jazeera and Pikkuli's production company Aittokoski lasts for five years.